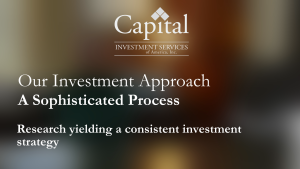 At Capital, we believe investment returns are the result of a thoughtful, objective, client-focused process. 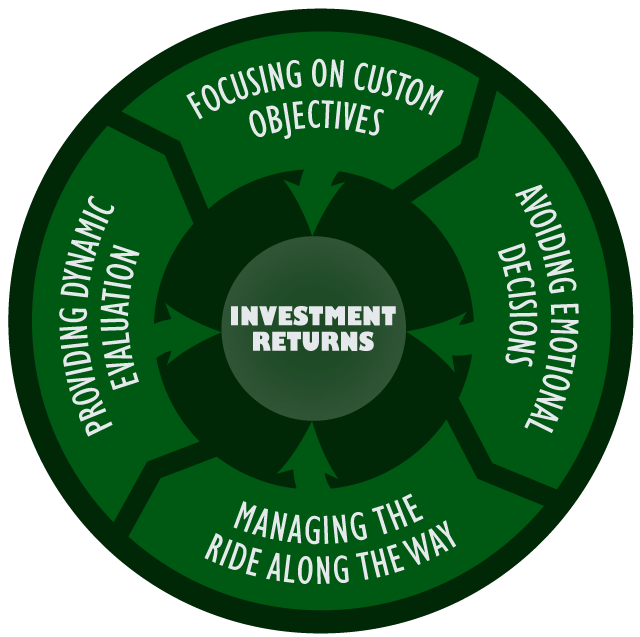 Our process focuses on custom objectives, avoids emotional decisions, manages the “ride along the way”, and provides dynamic evaluation. 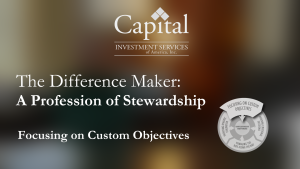 These steps are the essence of our simple, sophisticated and effective approach to the profession of investment stewardship. Amidst the noise and clutter of a crowded investment landscape, we like to think of our process as The Difference Maker. 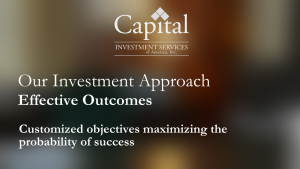 Learn how the investment team at Capital manages each portfolio based on client-defined objectives instead of using a cookie cutter approach to investment management. Watch how the investment team at Capital helps clients avoid making emotionally driven investment decisions that can adversely affect their investment results. Learn how the investment team at Capital helps smooth investment returns through the use of a simple investment approach. Watch how the investment team at Capital constantly monitors the global macroeconomic landscape while considering the unique circumstances of the firm’s clients. Founded in 1981, Capital Investment Services of America, Inc. is an employee-owned Milwaukee-based money manager that provides independent investment counsel to high net worth individuals, trusts, endowments, businesses, and charitable organizations throughout the United States. Using our own fundamental research, we build custom investment portfolios comprised of individual stocks and bonds tailored to achieve the individual investment objectives of our clients. The firm is a registered investment advisor with the SEC.